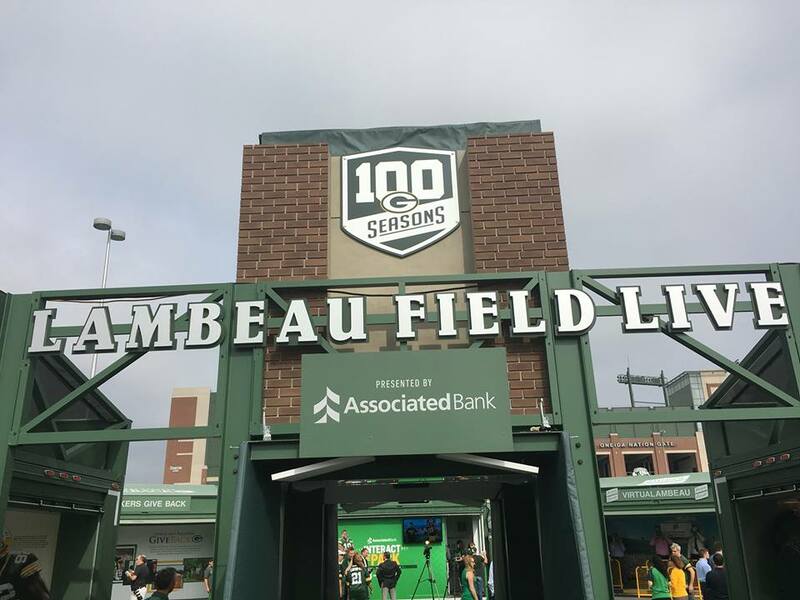 The exhibit is free for all fair visitors, and includes everything fans love about Lambeau Field, including activities for fans of all ages, meet-and-greets with Packers alumni, interactive Play 60 opportunities at select stops and Packers Pro Shop and Packers Hall of Fame satellite locations. Packers President/CEO Mark Murphy will appear to welcome attendees at noon on Monday, July 23, along with a performance from the Packers’ drumline, TundraLine. Activities scheduled daily include Play60 activities from 10 a.m. to noon; alumni Q&A and photos with fans from noon to 2 p.m.; and Packers history presentation/discussions from 2 to 3 p.m.
A full schedule of the programing at Lambeau Field Live each day is available at packers.com/100-seasons.